Work continues in Newcastle to enhance the infrastructure, safety, security and attractiveness of the area. Hon. 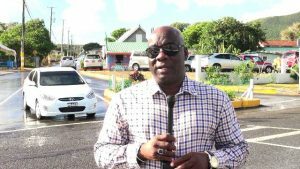 Alexis Jeffers, Deputy Premier of Nevis and Area Representative for the Parish of St. James expressed satisfaction with recent work done on the first phase of the Shaws Road Improvement Project.